Or should that be “No guts, no gory“? The carving was not the epic success I imagined. Both kids are into it, of course, and of age to handle a knife (a small one). But their attention span is short…and toys were beckoning. They did manage to draw faces on their pumpkins and clean out the guts. Following those tasks, Little Brother spent most of his time harassing Big Sister with pumpkin goo. And harassed she was. She was a good sport about it, though. We were all having a good time. Big Sister, who was once so cool with the slippery, icky work of cleaning out a pumpkin, spent most of her time trying to get away from Little Brother. 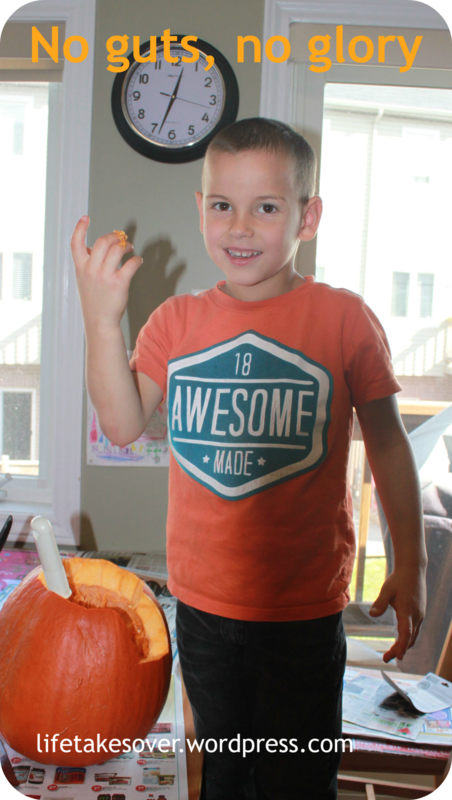 …smiling faces, eager attitudes…didn’t last long…and one pumpkin is enough work for busy parents. 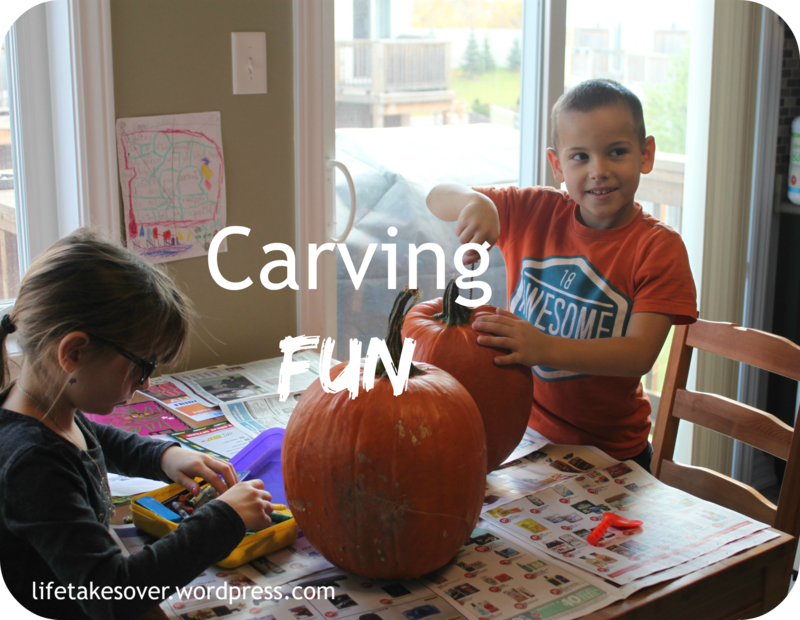 This entry was posted in Uncategorized and tagged Halloween, kids, Kids, kids activities on October 29, 2015 by Nancy.